TWENTY YEAR FACULTY SERVICE AWARDS — Front row, left to right: Alice Ketchand, professor of accounting; Ruth Massingill, associate professor of mass communication; Rafael Saumell-Munoz, professor of foreign languages; Tracy Steele, associate professor of history; Monte Thies, professor of biological sciences. 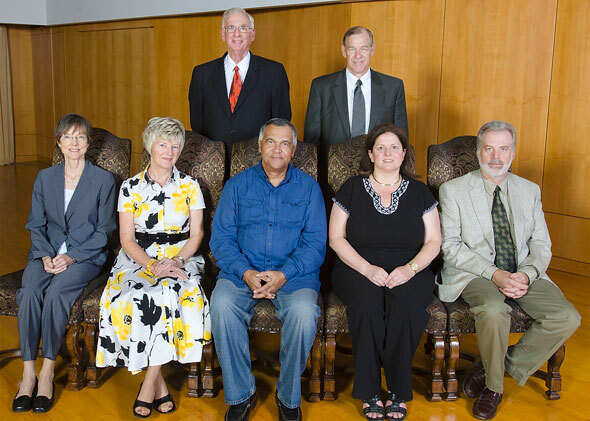 Back row, left to right: Don Bumpass, professor of economics; Eugene "Gene" Young, professor English and dean of the Elliott T. Bowers Honors College. 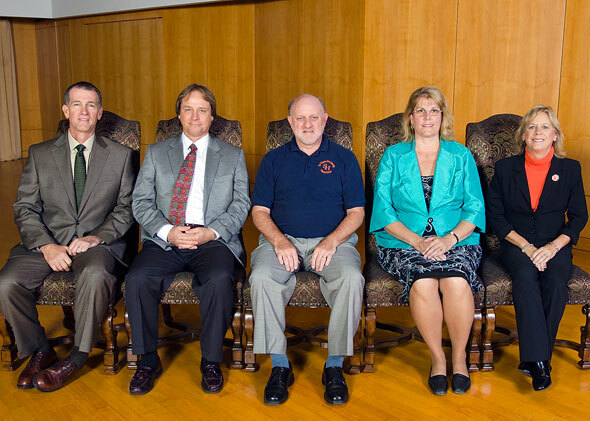 Not pictured: John Barnosky, associate professor of art; Robert Donahoo, professor of English. TWENTY YEAR STAFF SERVICE AWARDS — Front row, left to right: Hilda Murillo, Newton Gresham Library; Teri Oparanozie, Newton Gresham Library; Doris Powell, College of Criminal Justice; Sherry Henke, Enrollment Management; Phyllis Barrett, Office of Dean of Students. 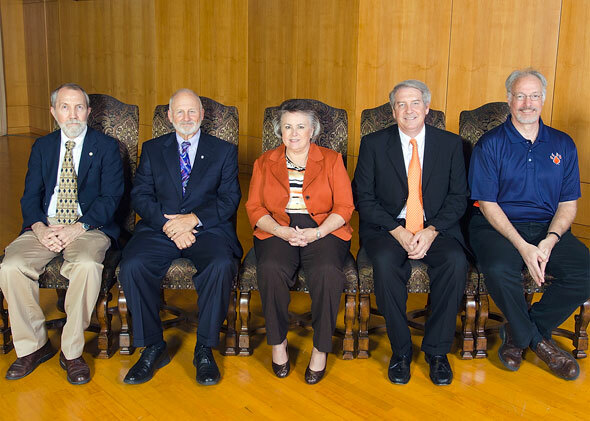 Back row, left to right: Trevor Thorn, Admissions; Gayle Bullard, Lowman Student Center; Bob Barragan, Small Business Development Center. 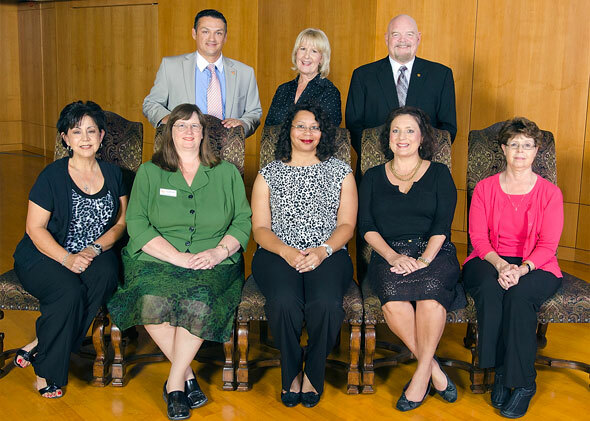 Not pictured: Janie Joyce, College of Education; Cruz Cano, Grounds; Priscilla Fransaw, Custodial Services; Alejandro Zavala, Grounds; Mary Holcomb, Athletics. TWENTY-FIVE YEAR SERVICE AWARDS — Left to right: William "Bill" Hyman, professor of health education; Dana Nicolay, professor of dance; Terry Thibodeaux, professor of communication studies; Carolyn Goodwin, Newton Gresham Library; Suzette Kohers, Information Technology Enterprise Services. THIRTY YEAR SERVICE AWARDS - Brian Cooper, associate professor of geology and chair of Department of Geography and Geology; Bobby Lane, professor of agricultural sciences; Jamie Tillerson, Collge of Criminal Justice; Bobby Williams, Athletics; James Horn, Information Technology Infrastructure & Support. 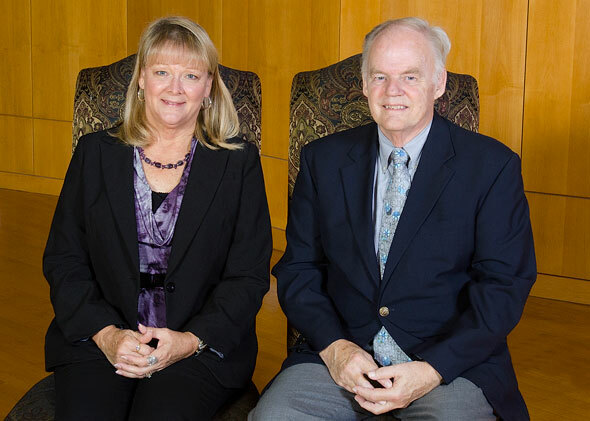 THIRTY-FIVE YEAR SERVICE AWARDS — Teresa Harvey, Testing Center; Larry Hoover, professor of criminal justice. Not pictured: James Carter, professor of political science. 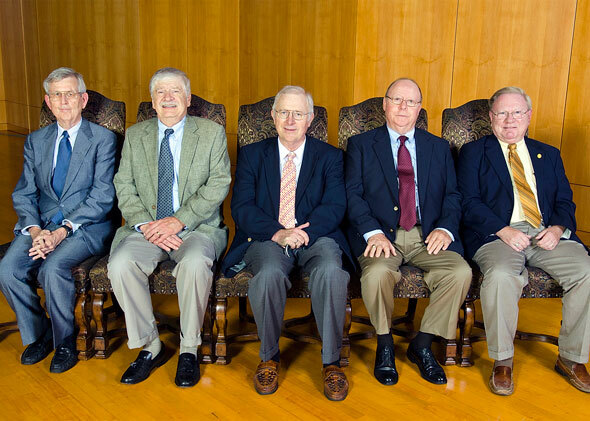 FORTY YEAR SERVICE AWARDS — Left to right: Lee Courtney, professor of English; Jerry Dowling, professor of criminal justice; James Olson, distinguished professor of history; James Miller, professor of geography; William "Bill" Fleming, SAM Center. 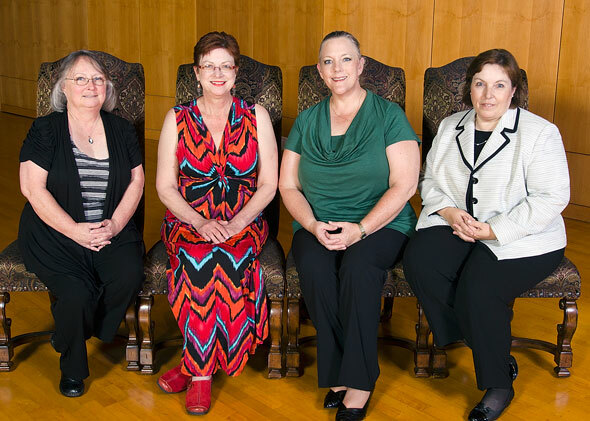 2012 STAFF EXCELLENCE AWARD RECIPIENTS — Left to right: Debbie Henriksen, Lisa Garrett, Lori Rose, Karyl Horn.